The president of Algeria, 82-year-old Abdelaziz Bouteflika, who has been in power for almost 20 years, has declared that he will not be running for what would have been his fifth term. The announcement was made against the backdrop of widespread protests that have been rocking the country for days. Thus, the latest revolution in the Arab world has succeeded. The question is, what will come next? Despite being laid to rest countless times, the Arab Spring has continued where it was least expected. Algeria has the same explosive cocktail as Tunisia, Egypt, Libya and Syria, of course: a young, rapidly growing urban population deprived of jobs and opportunities; corruption and poverty amid opulent wealth and luxury; uneasy relationships between ethnic groups (in Algeria’s case, between the Arabs and the Kabyle people, a Berber ethnic group); Islamist activity; and, finally, an unchanging authoritarian leader who rules with the same unchanging palette of ideas as every other dictatorship – “Who else if not me?”, “It will be worse without me”, “You don’t change horses in midstream” and so on. But judging by how calmly the country endured the turbulent events in nearby Tunisia and Libya, with only localised pockets of unrest, many experts were under the impression that the elderly Bouteflika would simply be able to retire by handing the presidency to whomever he wants – namely Prime Minister Ahmed Ouyahia, who has the unspoken title of “successor”. Something has gone wrong, however. It is unclear why, on 10 February, Bouteflika announced that he would be taking part in the presidential election scheduled for April. It is even unclear how much say he had in this decision. In 2013, Bouteflika suffered a stroke. A year later he was re-elected amid myriad accusations of election fraud and stopped appearing in public. 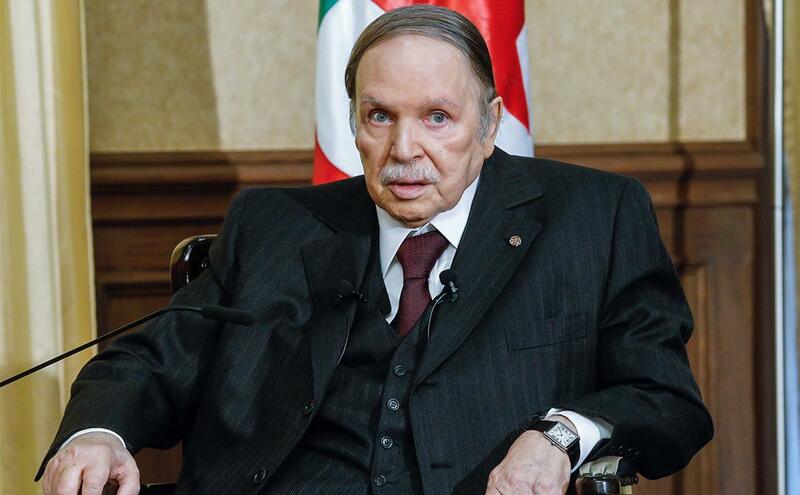 Until last Sunday, that is, when Bouteflika delivered an address to the nation in which he announced he had changed his mind and no longer wanted to run for re-election. On Monday, the government, including Ahmed Ouyahia, resigned. A “cabinet of technocrats” is being put together in its place headed by the now former interior minister, Noureddine Bedoui, and the streets of the country’s capital are filled with cheering crowds. 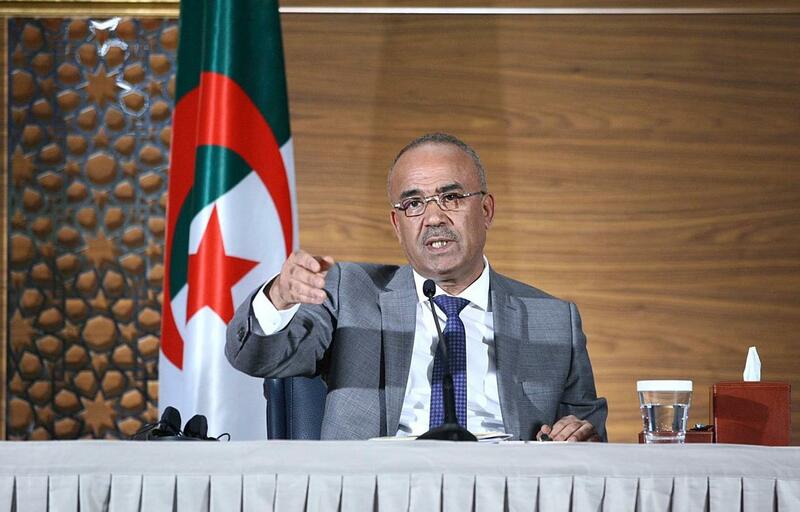 The biggest potential powder keg for the situation in Algeria, of course, is the fact that the presidential election has been postponed indefinitely. Exactly when it will take place will become clear after the national conference tasked with drafting a new constitution. The presidential election and the voting on it has to take place at the same time. So, for the time being there is political uncertainty: a president who has either resigned or hasn’t; an emerging government; and a people inspired by what seems to be a victory. There is also the bulldog fight going on behind the scenes at the highest levels of government about which little is known, but which has been hampered by the presence of the country’s unquestioned leader, Bouteflika. It should be remembered, however, that, no matter what you think of him, the current Algerian leaderdid actually bring stability to the country. It was during his presidency that the so-called “Black Decade” – a civil war instigated by Islamists in 1991 – came to an end. After winning the 1999 presidential election, Bouteflika secured an amnesty for the militants and the wave of terror gradually subsided. At the beginning of his time in office, he pursued a fairly flexible policy, didn’t persecute his opponents as long as they didn’t resort to violent methods, and tried to make it so that rising energy prices had a positive impact on the well-being of the people and not just the ruling elite. The system began to stiffen in 2008, however, when a law was passed allowing the president to be re-elected an infinite number of times. This process has now gone so far that opponents of the regime are only going to be happy with serious, rather than cosmetic, changes, and this kind of attitude always spells danger for the future of a country. If the situation in Algeria comes to bloodshed, then it is unlikely that other countries will stay on the sidelines. Europe will be forced to intervene, if only to prevent a new wave of refugees from Arab countries. Meanwhile, the situation in Algeria remains tense. The president’s announcement that he will not run for a fifth term has not quelled the protests. The unrest of the people is now directed against the introduction of a transition period and the creation of a new government that they believe will contain all the same people who are running the country now. The protesters are demanding a regime change, although they are not formulating their position very well. What’s more, following Bouteflika’s decision not to run for re-election on 18 April, no one is ready – there are no other candidates, no one has carried out an election campaign and it would be virtually impossible to do so in the time remaining. It therefore seems that the different sides will now have to talk to each other. A possible split in the Algerian elite could be dangerous. In fact, that’s why Bouteflika was put forward for president – he united them. The balance among the parties close to power is extremely fragile, but the feelings of unrest and discontent are strong. A number of organisations are taking part in the street protests, including various parties and NGOs, and the longer the protests continue, the more various forces will try to take advantage of them. In a video statement, the head of the Union for Reform and Progress, Zubaidah Assul, called the president’s actions “a political manoeuvre and an attempt to avoid meeting the demands of the demonstrators”. The Algerian politician continued: “From what we have heard, it appears that the president has extended his term in office, and he has not given any indication of how long the transition period will last.” She also noted that the posts of prime minister and deputy prime minister have been filled by representatives of the “old regime”. At the same time, Assul believes that the people will quietly continue trying to oust “the entire regime from power”. The dissatisfaction of Algerians is being spurred on by the unfavourable social and economic situation in the country. The protesters are demanding pro-Western reforms and they’re demanding changes in the country. 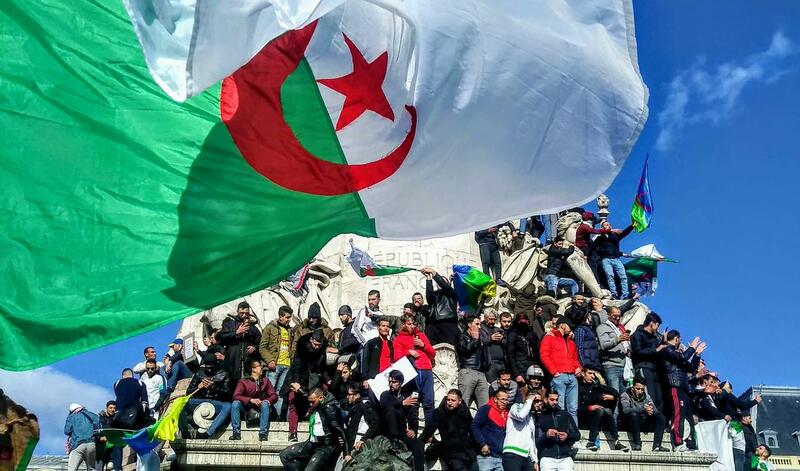 According to unofficial sources, more than one million people took part in the protests in Algeria on 1 March. The lack of a viable successor and the inability of the current elite to solve the economic crisis are contributing to the uncertainty of Algeria’s political future, something that the current regime’s main opponents – the Islamists – will inevitably try to take advantage of. The weakening of the vertical power structure and the continuing protests are creating a breeding ground for the resurrection of Islamist organisations. In particular, Al-Qaeda in the Islamic Maghreb recently published a talk entitled “Algeria…Getting Out From The Dark Tunnel”, which states that the organisation is ready to take advantage of the unrest when the time is right. The destabilisation of Algeria will undoubtedly cause problems for Europe. Besides the inevitable influx of new refugees, Europe could also face a threat to its energy security, given that Algeria provides a third of the gas consumed in Europe and as much as half of the gas consumed in Spain. At the same time, the weakness of the current government during a possible civil conflict will be exacerbated by the situation in the bordering countries of Libya and Mali. ISIS jihadists have strong positions in both countries, while the lengthy and poorly controlled border with Mali and Libya risks the spread of Islamic fundamentalism into the vast territories of north and north-west Africa. The US will also not fail to take advantage of the complex situation in Algeria. Under the pretext of fighting terrorism, Washington will easily be able to implement plans to penetrate and consolidate its positions in the Sahel-Sahara Region. A large-scale military presence will also allow the US to secure its interests in reorienting Algeria’s energy policy towards the development of shale gas and implementing its strategic objective of organising the supply of this raw material to Europe. Whatever happens, Algeria is facing several serious challenges at once and its ability to respond is being severely hampered by a lack of any notable potential leaders either within government or within the ranks of the opposition. Next Next post: Brickbat: See You Next Trip?